Michael Reynolds/Getty ImagesSen. Lindsey Graham has said he plans to call for sanctions against Saudi Arabia over the disappearance of the Saudi journalist Jamal Khashoggi. Graham said he believed the crown prince had the Saudi journalist Jamal Khashoggi “murdered” in Turkey and said he felt “personally offended” by what had happened given how often he had defended the kingdom’s interests on the Senate floor. Graham also said the US shouldn’t do business with Saudi Arabia again “until we get this behind us.” The Republican senator said he would not go back to Saudi Arabia as long as Prince Mohammed was in charge. 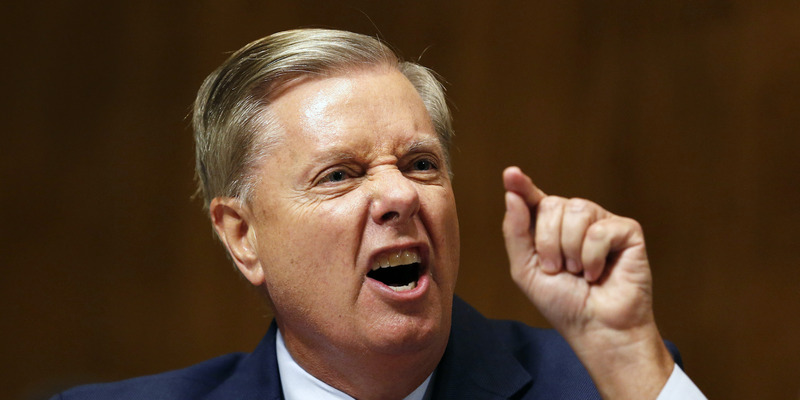 Lindsey Graham: MBS is a "wrecking ball" who had Khashoggi murdered, he's "toxic" and he's "gotta go." Since being named crown prince and heir to the throne last year, Prince Mohammed has made numerous controversial moves to consolidate power, including arresting other princes and prominent business executives, part of the reason Khashoggi left Saudi Arabia for the US in June 2017. Khashoggi disappeared on October 2 after entering the Saudi Consulate in Istanbul, and Turkish officials have said he was interrogated and killed there. Saudi Arabia has so far denied harming Khashoggi and claim he safely departed the consulate, but it has not provided evidence to confirm this. On Tuesday, a high-level Turkish official said the police found “certain evidence” Khashoggi was killed in the consulate. Khashoggi’s mysterious disappearance has placed the relationship between the US and Saudi governments in a precarious position. A bipartisan group of senators have called for the US to cease arms sales to Saudi Arabia, and many have also signalled support for economic sanctions in relation to the Khashoggi case.